My little girl was screaming and clapping throughout the show. Yelling her answers to questions addressed to the audience and jumping with glee when Jesse came out on stage. There’s no doubt she was the one who enjoyed the show the most! 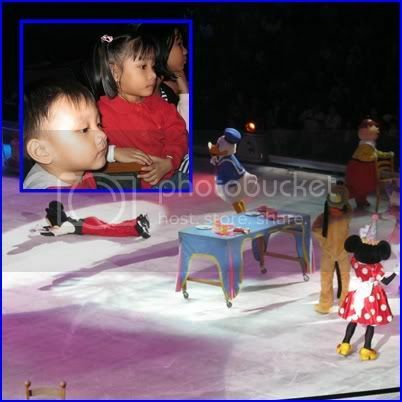 Our little boy was also delighted by the different Disney characters dancing on stage. Although very quiet, you could see that his interest was greatly piqued from the way his eyes intently watched the characters and the big screen. Your little ones will surely enjoy this show also! 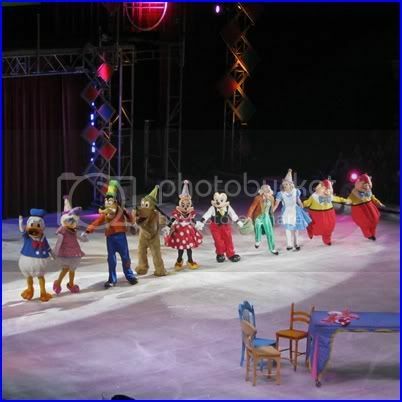 You still have until January 3 to catch Disney on Ice so get those tickets now. Nice photos you took. Your kiddos looked amazed by the show. You know what, same here. We watched the last Disney Musical Tour, plus we just visited Hong Kong Disneyland early this year. However, Mickey Mouse Clubhouse is the little one’s current favorite so we just have to watch this again. Good thing hubby was able to buy tickets early and we’ll occupy the 3 patron seats. Yay, excited much for our daughter. I am sure it’s gonna be a blast!! Hi Olga! Glad your kids enjoyed the show. My son and I watched about 2 years ago and I may have enjoyed it more than he did. Haha. Looks like fun! 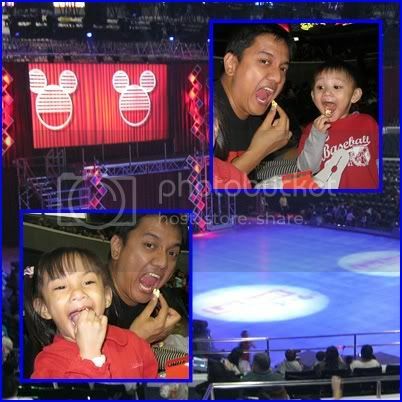 We didn’t pushed through, we made Una watch some Disney on Ice videos in YouTube, ayaw niya! hahaha! wow great photos olga! 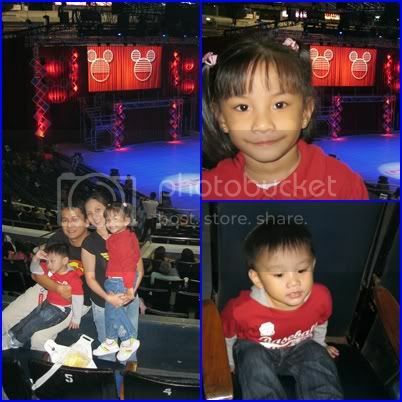 Zoe loves mickey mouse clobhouse, siguro soon I will also be bringing him to this show. deep inside masaya ako. i ko man ine-express pero seeing the kids’ happy faces, contented na ako…. i love them so much! i may not give them all they want but im doing everything to give them all the need! im not a perfect papa at aminado ako dyan. Sorry! mahal ko kayo mga anak! mahal na mahal!